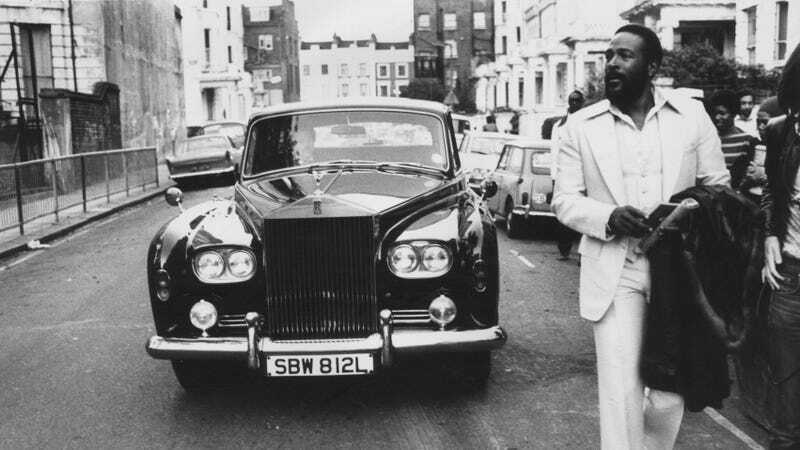 American soul singer Marvin Gaye (1939 - 1984) walking ahead of his Rolls Royce in Notting Hill, London. It’s time to send your snail mail with the most soulful stamps in these United States of America. I heard it through the grapevine. Today, April 2, 2019, marks the 80th birthday of the incomparable Marvin Gaye, born on this day in 1939. As reported by The Root in November, the U.S. Postal Service (USPS) has launched a commemorative postal stamp for the Prince of Soul, aptly dubbed the “Prince of Soul” Forever Postage Stamp. Just in time. As The Undefeated noted, Gaye’s stamp is part of the USPS’ 2019 Music Icons collection. The stamp’s art is brought to you by acclaimed artist Kadir Nelson, with the stamp’s pane designed by art director Derry Noyes. Born in 1974, artist Kadir Nelson has had his works included in the private collections of the International Olympic Committee, and the US House of Representatives, among other notable institutions. His work has graced the covers of New York Times bestsellers. And in 2019, his representation of Marvin Gaye will be available for your taxes and tirades alike. The Marvin Gaye “Prince of Soul” Forever Postage Stamps are now available for purchase at your local U.S. post office or on USPS.com.